Printed and typewritten text. Handwritten litters. Inks. The file contains documents: On attracting prisoners of war to the execution of state and public works. On the work to be performed by the labor of prisoners of war. On the issue of the involvement of prisoners of war in the private sector. According to the draft regulations on prisoners of war. 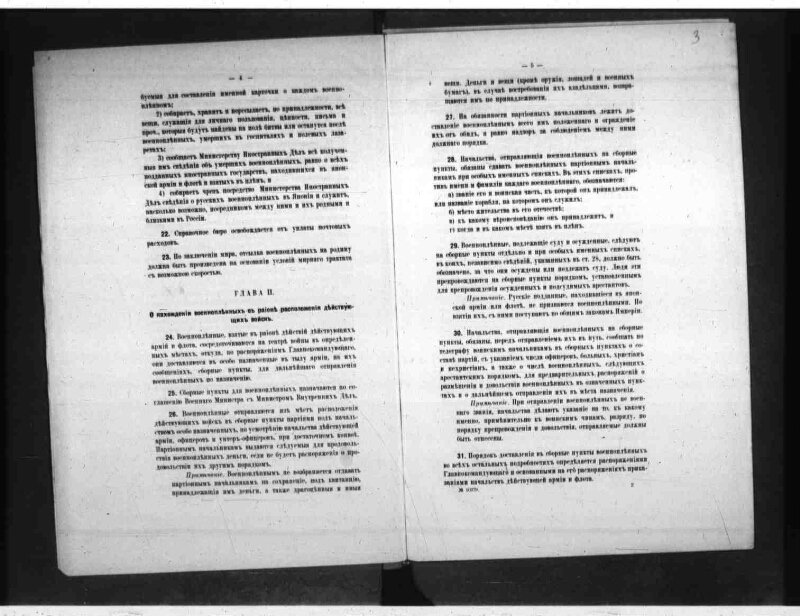 Under the draft rules on prisoners of war, involved in the production of public works on the Ministry of Transport. On the issue of receiving from prisoners of war Austrian and German paper money and exchanging them for Russian money. 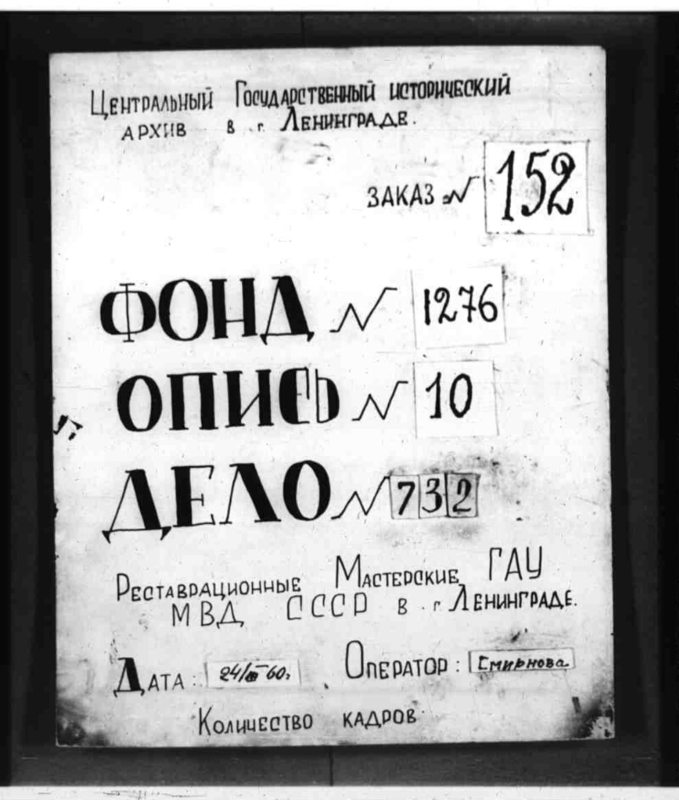 On the involvement of prisoners of war to work on the zemstvo and urban economy. 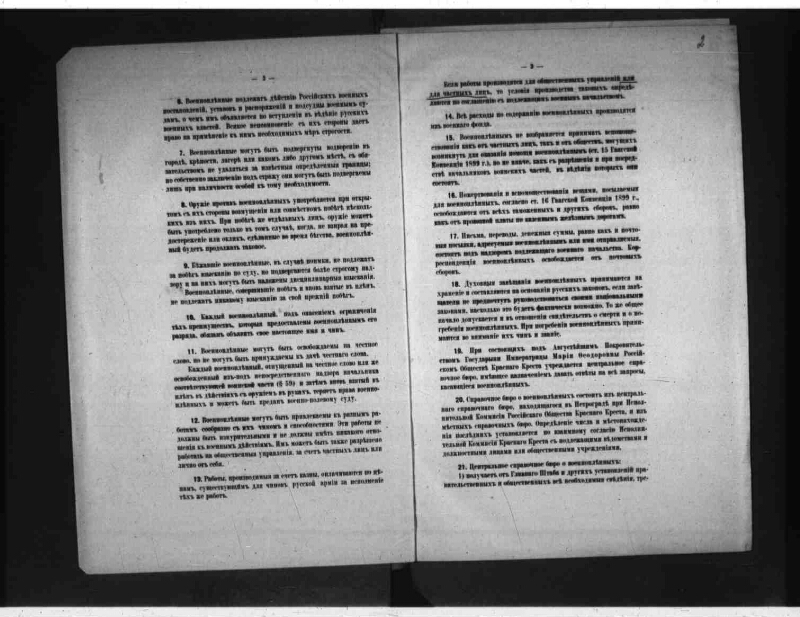 Under the draft rules on the provision of prisoners of war for the execution of state and public works, at the disposal of those interested in that department. On the admission of prisoners of war to work on the construction of railways by private companies. On the periodic report to the Council of Ministers by the Ministry of War on the number of prisoners of war employed in the work. On the involvement of prisoners of war in the construction of the highway Kharkiv - Simferopol. On the use of prisoners of war for agricultural labor. 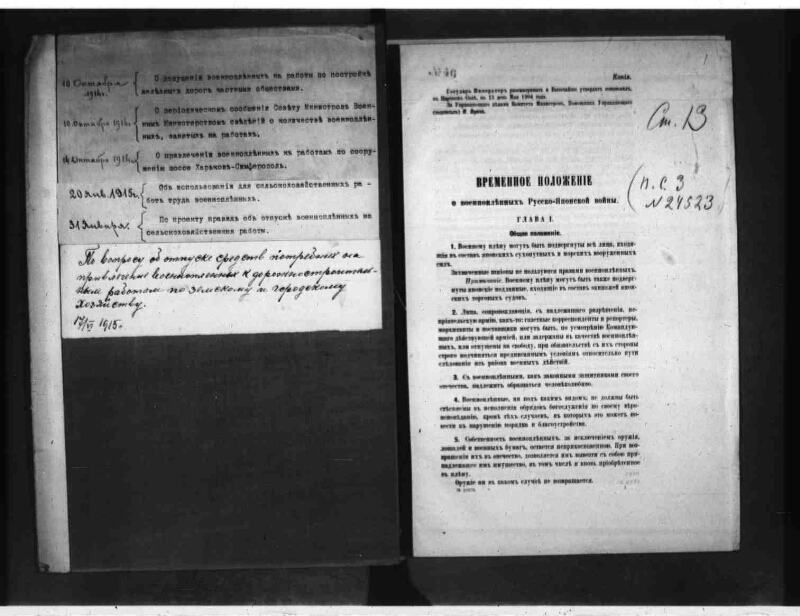 Under the draft regulations on the release of prisoners of war for agricultural work. On the issue of the release of funds needed to attract prisoners of war to road construction work on the zemstvo and urban economy . I. Russia. Council of Ministers. Chancery. II. Council of Ministers. III. Chancellery of the Council of Ministers. The First World War (collection). 2. The people (the collection). 3. 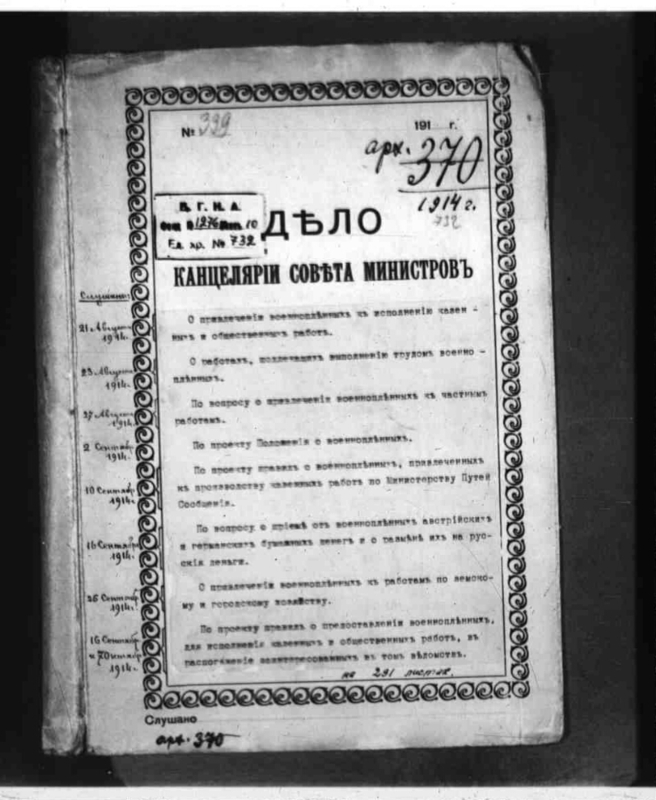 Prisoners of war foreign - Russia - 1914 - 1918 - Documents and materials. Location on the secret of the original: РГИА. F. 1276. Op. 10. D. 732.